why only xenon form compound not any other noble gas? Xenon has a lot of electrons, hence the larger atomic mass, and the atomic radius is very large. Thus, the strength of the attraction between the outer electrons and the protons in the nucleus is weaker (increased distance from the nucleus means decreased attraction). With this decreased strength, they are more easily lost to other atoms. As we go to higher numbers of the periodic table, generally the elements get more reactive. This is generally due to larger atoms filling larger orbitals with a charge density further away from the nucleus. Also the elements get less stable. Going with trends, Radon should be the most reactive. Radon is very radioactive, has a half-life of 3-4 days approximately. It breaks down very quickly. It could be more reactive that Xenon, but no chemical element reacts with it. For this reason only Xenon forms compounds because it can react (just barely). 1. conductivity of metals decreases on increasing temperature. why? 2. Why tungsten have high melting point ? 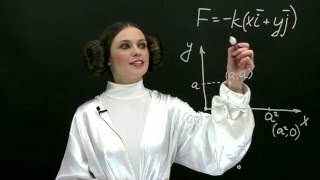 3. explain molar mass and molecular mass with there formulas. 4. what is salt bridge? explain with an example. 7. Why SF6 is known but SH6 is not known.